During treatment, a sterile cartridge with several microneedles is attached to the micropen. Then, your aesthetician will apply gel to the selected area and gently press the pen against the skin. Micro-Needling results in a controlled amount of minimal injuries to the skin that act as channels that the body fills with new collagen and elastin. Essentially, the micropen works with your body’s natural processes, so there’s no risk of any foreign substances going into your body. 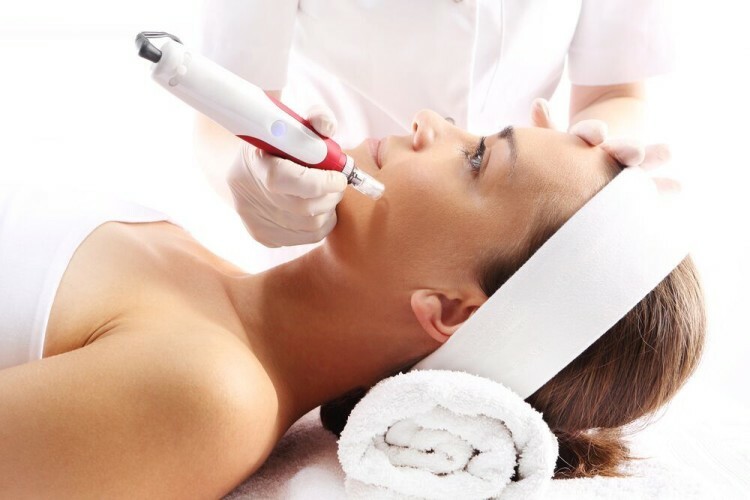 Micro-Needling produces a similar result to laser skin treatments, but is much safer. By removing the laser’s heat from the equation, the procedure becomes much more comfortable for patients and reduces the risk of complications. It is especially useful for sensitive areas around the eyes and mouth, where using a laser can be difficult. No heat also means less recovery time, and most patients can start seeing the effects within the first week. Here at Gainesville Dermatology, we are experts in this new technology offering a minimally invasive procedure that is safe and effective. With the Eclipse MicroPen™, we utilize a revolutionary cordless dermal Micro-Needling device used by skincare professionals worldwide. It can be applied on all parts of the body; face, neck, chest, arms, hands, legs, abdomen and back. Give us a call and make an appointment to experience first-hand the benefits of Micro-Needling!